There are numerous benefits that accrue from seeking Fashion Designing course. In the first place, by supplying the industries and various firms with a large body of trained I.T Professionals in every use and finds employment for the youth. Secondly, when we shall have our own I.T experts, a lot of money would be saved which at present goes to the pocket of foreign I.T professionals. In the absence of trained I.T Experts in the co we are compelled to import Foreign IT Professionals. 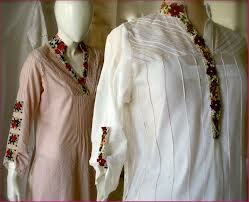 But NCC provides a great opportunity IT experts by doing this Fashion Designing Course. After doing this Fashion Designing Course you will be able to desire benefit out of you and to make the desired progress in life. Almost all office jobs require the use of computer and the applicants for a job one expected to have the computer skills. Learning this course provides our students the edge to work confidently with the worlds well renowned firms and industries.